Imagine the airshow circuit’s largest, noisiest, and smokiest airplane lit up like a Christmas tree and performing aerobatics at night! Imagination has become reality! 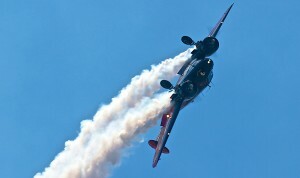 Keeping with Younkin Airshows tradition of pioneering the unusual, this new variation of an existing amazement will surely be the highlight of any night airshow. 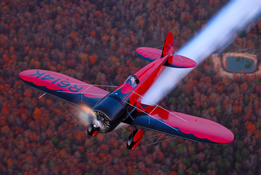 Twin Beech after dark consists of the industries only ground started night spectacular. 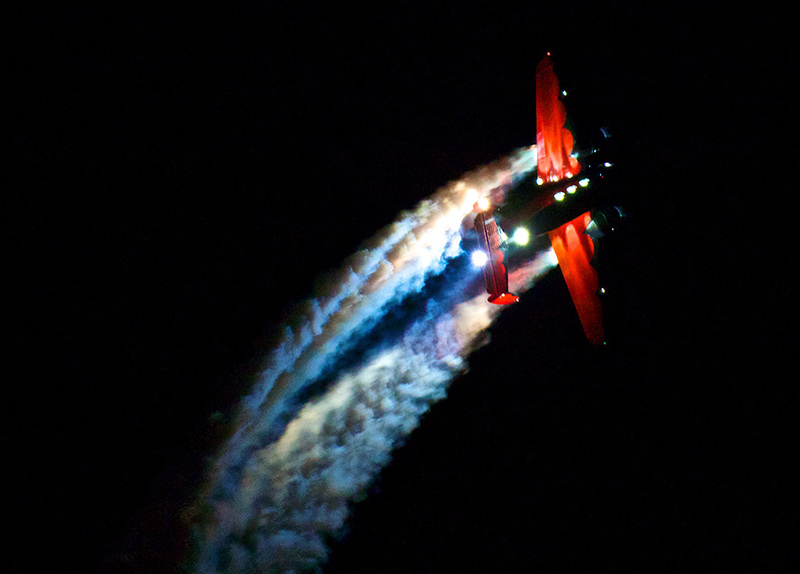 With the lights and smoke, the airplane appears to climb vertically like the spaceshuttle Discovery. 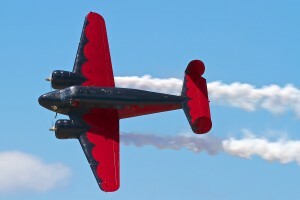 The Beech Ellie Smallreturns shortly for a spectacular display of strobes, spotlights, and illuminated smoke. 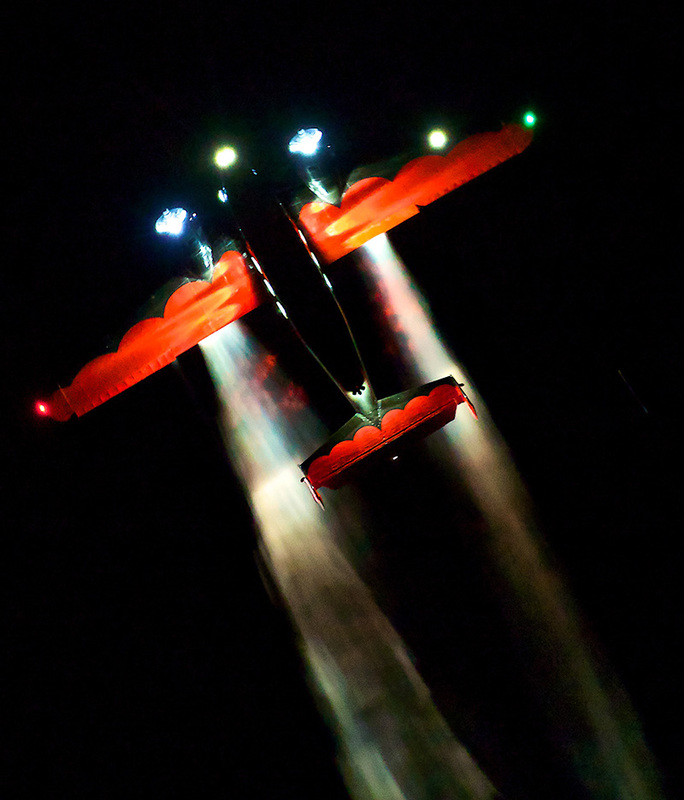 The bottom of the airplane contains a series of red and white strobes and military position lights that combine to create an effect that will thrill even UFO enthusiasts. In contrast, the top of the airplane contains spotlights which illuminate the wing, tail, and at times even the fuselage based on spectator position and smoke enhancement. With powerful music that only the Twin Beech could perform to, and an obscene amount of lights top and bottom, this act is the envy of many night show performers who spend thousands on pyrotechnics. 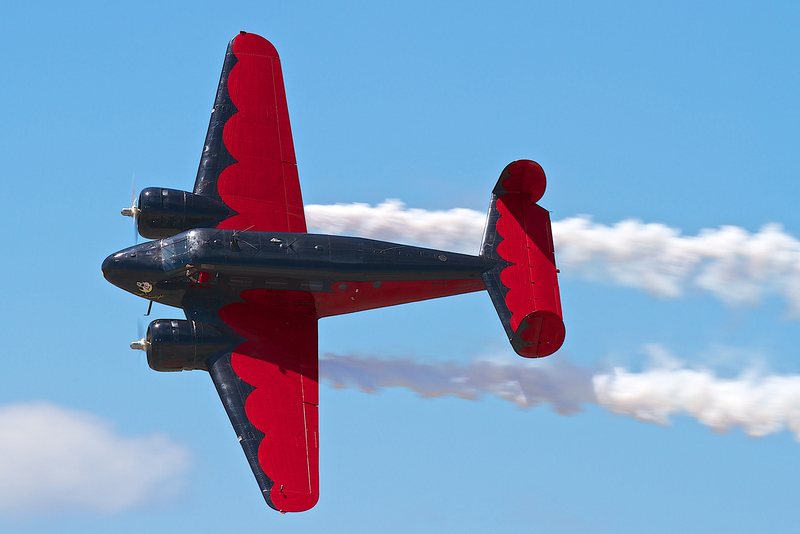 Look for appearances at an airshow near you! Matt Younkin’s Super Decathlon routine is unique in every way. The action is nonstop from the opening double-avalanche to the closing photo pass. 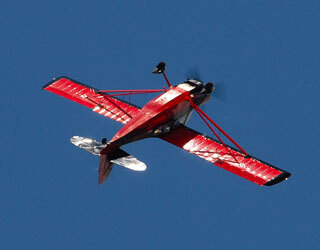 Matt flies the nimble aerobatic trainer to its limits keeping the crowd on their feet the entire time. 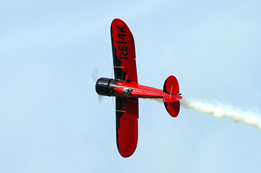 Most of His aerobatic sequence is negative-g with outside loops, pulls, pushes, and tumbles. His signature maneuver is the negative avalanche (outside loop with an outside snap-roll on top.) 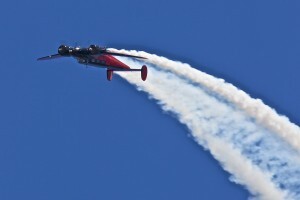 No one else in the airshow industry is performing this maneuver, at least not in a Decathlon. Matt also prides himself on his ability to perform an energy management sequence that flows from start to finish with no stage-left or stage-right exits. Every time the airplane changes direction, it’s done with a precision maneuver unlike any previously performed. 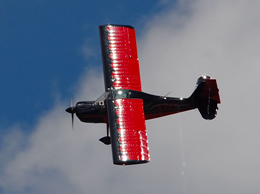 From the flashy and original red and black paint scheme to the sharp sound of the 3-bladed composite prop this airplane adds a unique flair to any airshow! Matt demonstrates the superior handling qualities of the aircraft by performing a graceful, yet exciting airshow routine. 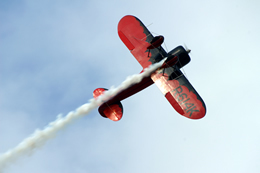 This is continuing the Younkin Tradition of performing one-of-a-kind airshow acts that are exciting, non-stop, and kept in tight in front of the crowd.